Although aware of the presence of subtle beings since childhood, contact with those I know now as Star Family and guides, beings of Light existing in higher frequencies than 3-4D, began consciously during the last eight years (via telepathic/telempathic connections, meditation, visions, dreams, visual symbols & signs, orb and lightship appearances & communications) that accelerated after three ship sightings in late 2011-early 2012. Remembrance of lifetimes here on Earth during different periods, including Mu (Lemuria), Atlantis, Ancient Egypt and the current period returned, as did rememberings of other star systems include Sirius A (as a leonine being), Sirius B (human), Sirius C (dolphin being), the Pleiadian cluster, Vega (Lyra constellation), Venus, Arcturus, Antares, Procyon, Andromeda, Ursa Major (the Alectians), Deneb (Cygnus constellation), Altair, Cetus, Alpha Centauri, Pegasus, Cassiopeia, Canopus and memories of other galaxies and universes. Contacts within the wider Intergalactic Confederation (of which our local Galactic Federation, overseen by the Galactic Council) include Lucidans, Orions, Antarians, Rokadians (Ursa Minor), Canopans, Neptunians, Alexians (Ursa Major), Doradans, Arans and Halorins, and winged leonine beings who come from ‘neighbouring’ universes, Eremor and Anjuria. More recently, angelic light soul collectives of the galaxies known as Abell 2142 and Messier 27 have also come into closer focus. Some of the higher dimensional beings I feel and communicate with are: Ashura, my Twin Flame (known as Arnap in his 5D soul aspect), who was on board the Shem Arua and now the Meri’Ashar, Ashtar and Immara (Aset/Isis), Sananda & Lady Nada, Sehaya (Seshat) and Ramu (Anpu/Anubis), Ashira and Indara, Shemash & Aya of the Ahura’Tua, Archangels Ariel, Michael, Gabriel, Barachiel, Raphael, Metatron, Sophiel, Zadkiel, Uriel, Nathaniel and Haniel, Horus, Barata, Hilarion, Dwal Kuhl, Mother Mary, St Germain, Serapis Bey, Lady Athena and several crew members of her ship the Pegasus, Agarthan people of the 5D inner Earth, known to me as Orana, Lammerdon and Tuzin. Leonine family and friends include Ruba & Amaru, Kairaius & Karinya, Helena and Garbinja, Al’tara (my ‘guardian lioness’ on board the Shem Arua) & Arudia, and Tee’nah & Raibashiit. I have a soul aspect, Rowena, who has been on board Ashtar’s ship, the Phoenix, a 5-6D soul aspect associated with the Rose Ray of Divine Love, and part of my/her purpose Now is to anchor the Rose Ray with Gaia into the human collective consciousness (Rowena is now on board the Meri’Ashar). Ashtar is of angelic origin, in this galaxy primarily Arcturian. He has had incarnations as a human on a planet of Sirius B, and on Venus as a 5D human, among many, many soul aspects. He had several key lifetimes on Earth; as Thoth in Atlantis, who led an evacuation to Egypt (where he was called Djehuti, the ‘Ibis’ or ‘birdlike one’) after Atlantis fell; as Horus (the elder Horus; there were at least three beings known by the name Horus, the elder being the ‘brother of Osiris’ and husband of Isis, the second being the ‘son of Osiris’), as Hermes Trismegistus, and as the Egyptian historian Manetho. The name ‘Ashtar’ is a short form of Ash’Ta’Hura, the meaning of which I will write as a post soon. He is angelic in higher dimensions, but holds a humanoid 5D (crystalline light-based) form as overlight of the Ashtar Command, starfleet of the Galactic Federation, and has also projected to me (as he expresses it, ‘a projection of his Essence as an energy form’) as an ibis, dove and eagle of white light, which I was able to photograph (see Light Beings page). He has been called ‘The Eagle’ or ‘White Eagle’, and as Commander of the AC, holds an overview that is vast and minutely detailed, very calm, infinitely loving. His command ship within the fleet is the Phoenix, which I see as a ship of golden light. 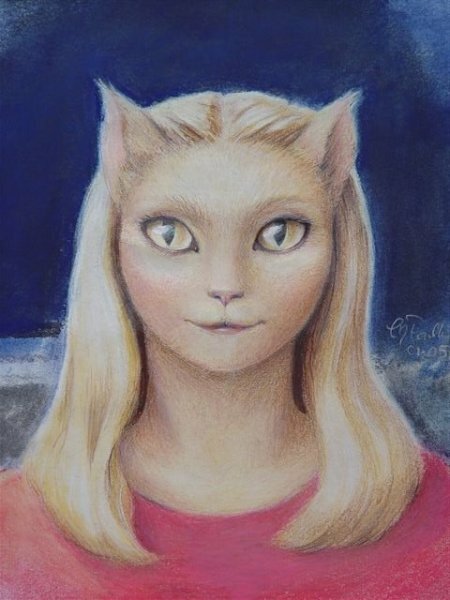 Sehaya has a soul expression on board the Phoenix as a feline being of the Paschata, a group of the leonine beings of Sirius A, where she is the Keeper of Records for the Sirian High Council. She was known on Earth as Seshat in the ancient times of Egypt (‘Seshat’ being connected to the word ‘paschat’). Her temple was ancient, preceding that of Thoth, and her leonine attributes can be seen depicted in Ancient Egyptian art with feline feet, and a leopard-spotted dress. Like Thoth, she was depicted as a scribe/record-keeper, and they have this same likeness of energy. She is a wise and beautiful being, gentle yet strong, has enormous knowledge and flows the white light of Divine Mother energy. Along with Ashtar, she has guided me, often with specific heart-centering/opening practices along with much loving care, and the first exercise in the Practices section on this site is one given by Sehaya. 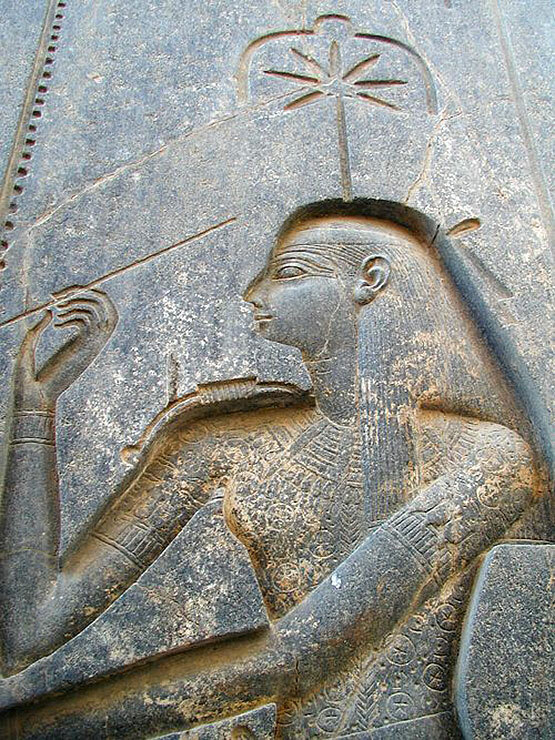 Sehaya as Seshat/Shesat, Luxor temple complex, Egypt. 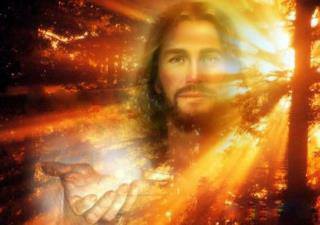 Lord Sananda co-created the Gold Flame of Resurrection with Source, and incarnated on Earth as Jesus/Yeshua/Immanuel. 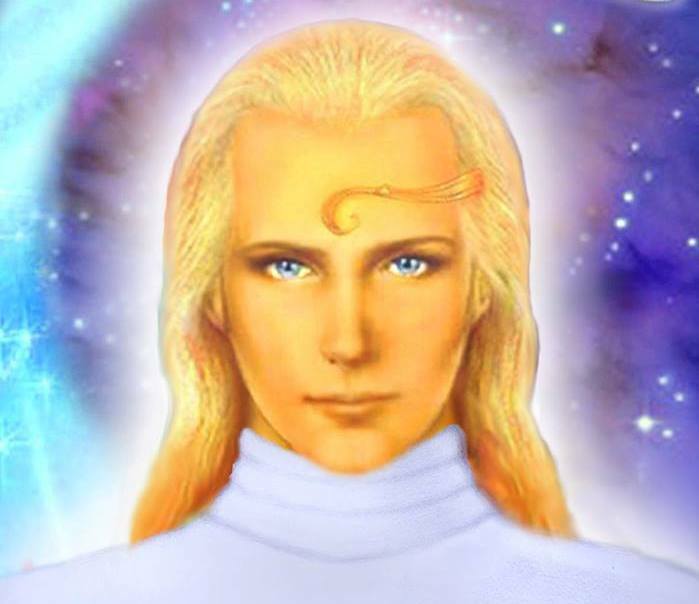 Sananda oversees the intergalactic fleet assisting the Ascension process of Gaia and humanity into a higher dimensional state of unity, love and peace, which pools a vast number of beings and ‘co-commands’ currently deployed in this galaxy. My ego/small self felt quite blocked in connecting with Jesus Sananda before 2012, because of ‘seeing’ him through the filter of church/religious beliefs and structures on Earth, which never resonated for me. The idea of a mediatory body, served by clergy, between myself and God/Source I intuited as taking me ‘out’ of my own divine centre while inserting a middle man, so to speak. I feel the religious organization and dogma that was established in the name of Jesus Christ carries/perpetuates dualism, but that many words of Jesus as recorded in the Bible, such as ‘The kingdom of heaven is within’ are true of him and the divine mission he incarnated with. Christ Consciousness is an energy available to all human beings; the ability to sustain and resurrect/rebirth our energies and consciousness in a fully integrous way is a natural attribute of what we all are as (expressions of) Source, imbued with divine essence. Releasing layers of distortion and separation that have built around that unique divine essence within each one of us – peeling the onion to the core – is part of the journey ‘Home’ into the centre of our own beings, where Love IS, eternally. No one has shown me and guided me more deeply into this Knowing and the ‘reality’ it generates than Sananda. He gave me the key to my innermost Heart, though it was up to me to open the door and enter IN, which is true for every one of us, when we are ready (allow ourselves) to do so. I feel deepest love for Jesus Sananda and for all the Beings named here as guides and star family, who have shown – and continue to show – the way into deeper Love of true Self and All beings, and of Source itself, with which they are wholly aligned and therefore take joy in serving freely. Service to Source (creating with Love) is Joy when we are centered in Unconditional Love. 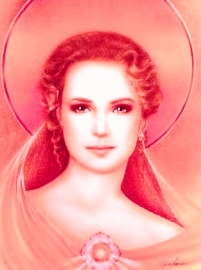 Lady Nada, the Twin Flame of Jesus Sananda, incarnated on Earth with him as Mary Magdalene. They therefore represent Divine Feminine and Divine Masculine aspects of the same Soul, with the exact same frequency signature/soul spark. Lady Nada is often depicted holding a pink or carmine-coloured Rose, and she exemplifies the Rose Ray of Divine Love. She guides with gentleness, close tenderness and profound wisdom, and has helped me deeply in opening the ‘Rose of my Heart’ (and keeping it open) and she very often works with this symbolism. She gave me a very beautiful practice for balancing Earth, Heart and Star centres which I know as the Three Whites. This has been a central practice in opening and stabilizing my chakra centres, and can be found on the Practices page. When I was a young girl, I had a recurring dream of being lost in a dark forest. There was generally in these dreams a path in front of me, but it was in shadows, and either it would disappear or I felt frightened of taking it, and stood in fear among the trees. Then a bluebird would appear, and fly along the path in front of me, and I would see a light ahead and know I was safe, following the bluebird. I didn’t understand the symbolism of those dreams until later in life, got tangled in the 3-4D woods, and did not see the bluebird again until my heart opened to its call. It never left. It was me that could no longer hear or see it – as is the way for most on the ‘other side of the veil of forgetting’. All the Love in the Universe is there, always, just a thought away. Archangel Michael, who I still think of as ‘Lord of Bluebirds’, stepped to the fore as a guide and catalyst these last few years, protecting, strengthening, activating, giving courage, giving an arm to hold when the going has got tough, teaching me how to cut away shadow attachments, steadily radiating a magnificent energy of Light, which is available to all. He has given beautiful practices, taken me through ‘angelic activations’ and opened awareness of the angel in my own BEing, which opened so many doors, including the one to my Higher Self. The first words I heard from him were: ‘Hold the faith, whatever comes.’ I could not then have imagined what the ‘whatever comes’ might entail, but that is all fine; one step, then balance, another step, then balance, and so on, all in Divine Timing, with complete trust in the process. AA Michael is pure joy, and in my heart forever. 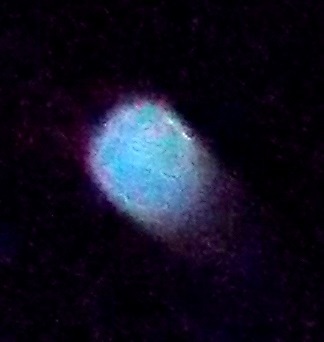 He and members of his entourage appear often to me in the form of blue orbs, like the blue diamond orb in the photo below, taken in late 2012. 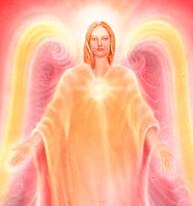 Archangel Gabriel’s presence has been with me closely for much of this life, enveloping me in pure Love and Inspiration through the ‘duality drama’. He is a messenger of the Immanence of the Divine, of the manifestation of Essence, and a gatherer of souls to Love. 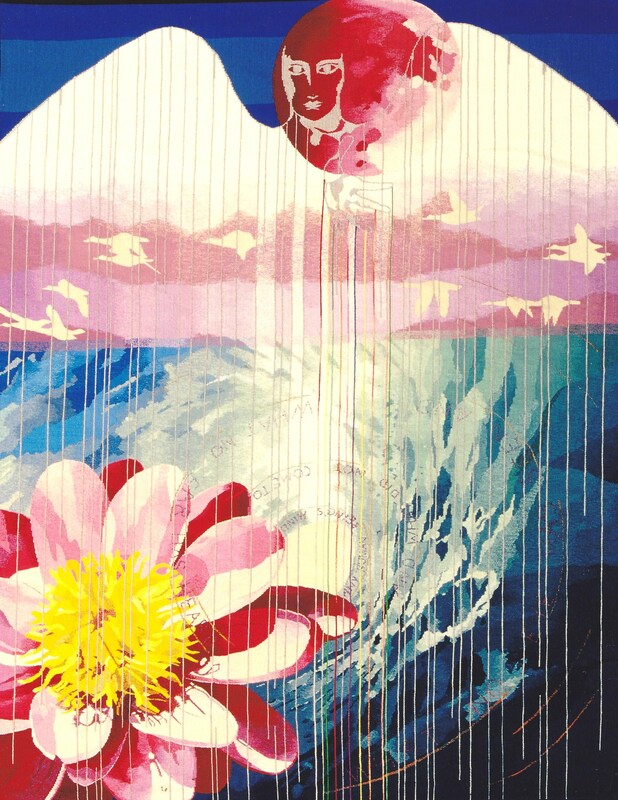 The image below was a tapestry I wove 20 years ago, inspired by a vision of Gabriel. I was sitting on the beach, looking out to sea, and a silvery figure of running water appeared standing on the waves, with an endless rainbow of light pouring down from its outstretched fingers. The watery vortex, the lily, geese and moon are all symbols of Gabriel’s energy and expression. While enveloped in this energy while weaving the tapestry, I conceived and carried a child, and gave birth to him a few weeks after finishing the weaving. 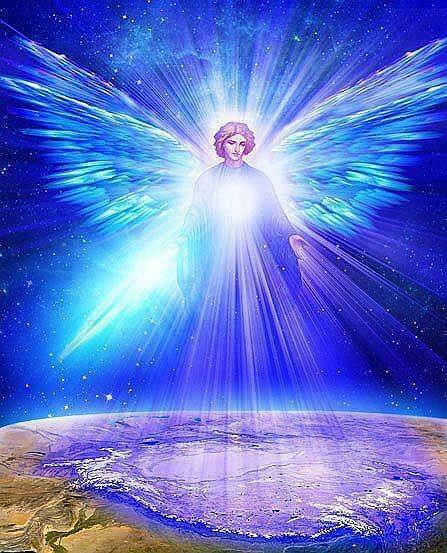 Archangel Gabriel is, of course, associated with Immaculate Conception, as a conductor of that energy of higher dimensional conception, as with inspiration, conception, creativity and new birth more widely, and hence his presence and focus is much here with us all through the Ascension of Gaia and humanity, our rebirth. 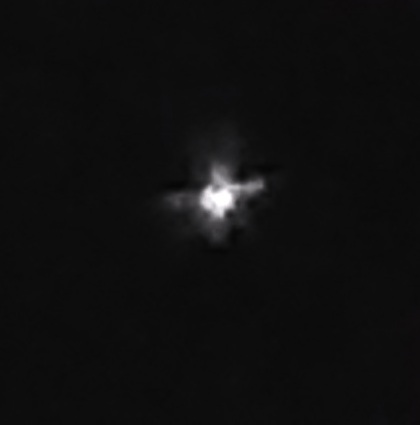 Gabriel has appeared often to me as an orb of bright white and pale aqua light, as in the photo below, and you can find a visualization associated with these colour vibrations from him in the Practices section. Thank you always, beloved Gabriel. 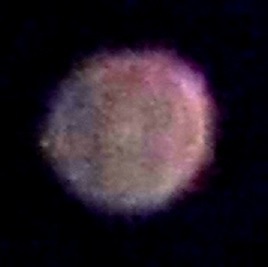 I connected with AA Haniel while aligning with the Divine Rose Ray, and the Tenth Ray (pearlescent rose-white), Venus and Venusian people/ships, which you can find posts about in the Archives section. AA Haniel has an association with the planet Venus, with joy and happiness, universal love and sacred union. Venusians are a 5-6D race, living in love and harmony in crystalline embodiment. They/we have long interconnections with Earth, and have come here throughout humanity’s existence in the role of guides, teachers and helpers in the effort to reconnect Earth humanity to its memory foundations and full DNA potential after it became diminished. I have memories of Venus, a lifetime some 150-120 000 years ago (in linear time terms; beyond 3D time, of course, any of our aspects of Self can be experienced as ‘present’ by heart-I/eye focus). In that lifetime, my name is Hanamaya, meaning an energy of Haniel’s soul family in material embodiment. On Earth, Haniel’s name can be traced through the ancient Hurrite ‘goddess’, Hannahannah – to the pre-Euphratean Inanna of Sumeria – to Babylonian Ishtar – to Astarte – to Aphrodite – to Venus – and later identified with Mary Magdalene. These are not all aspects of the same Soul, but all express the Rose Ray as sister energies. AA Haniel gave me a beautiful practice, called the Rose Double Helix, which can be found in the practices section. Later, he manifested in the beech grove in the garden here, and connected with me, as captain (then) of a ship I have bilocated onto, the Shem Arua, and more recently as my Twin Flame (meaning we are feminine and masculine energy expressions of one soul). 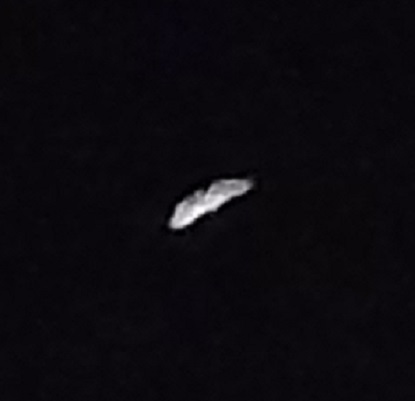 I’ve seen this ship uncloak into 3D as a large silver-white disc ship. 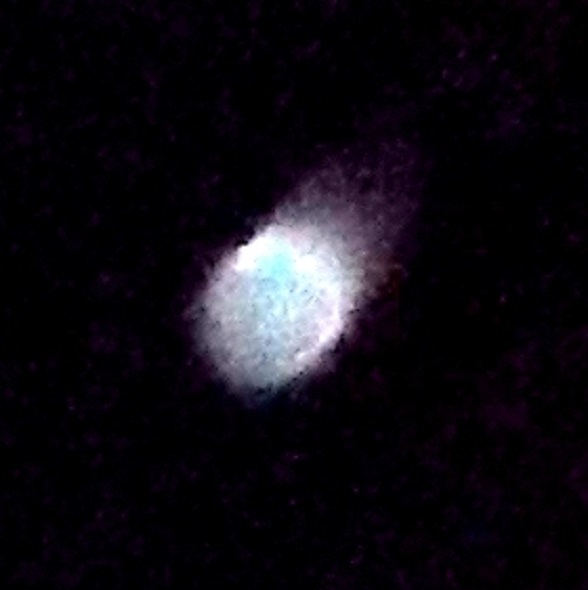 In 4D it appears as a ‘hub’ of concentric blue rings and in 5D as a large white light sphere. The phrase, ‘smaller on the outside, bigger on the inside’ is apt. 😉 He now captains the Meri’Ashar, our original ship which has returned, to serve the Ascension of Gaia. Arnap translates as ‘steers/guides through the Bow’ or simply Bow-Steerer, meaning one who steers the Source flow through the shielding bow/arch/crescent of the Divine Mother. (Its higher vibrational form, Ar’Na’Pu, also translates as ‘Original Lion of Source’). He was known on Earth in ancient times as Ashur/Assur; the country Assyria was named after him, and he was depicted often holding bow and arrow tipped with a Rose or Lily ( immaculate conception), within/appearing through a winged solar disc, sometimes above and guarding the Asherah Tree (Mother energy flowing through the Tree of Life). He is a high guide of the process on Inception – the merging of higher and lower (faster and slower) frequencies of one’s being, the embracing of Source’s light of Love through the Divine Feminine-Masculine renewal on Earth at this time. He appears to me often in dreams and meditations as a White Stag of light, and in the night-sky as a green orb, which are connected to his energies on Earth known to the Celts as Cernunnos, the Green Man, which you can read about here. Love and gratitude to you, beloved Flame, always…all the way. 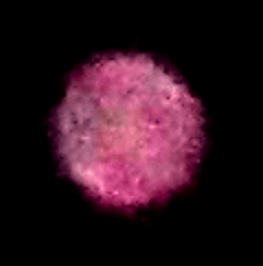 Photo of Ashura, blowing a ‘pink butterfly’ kiss. 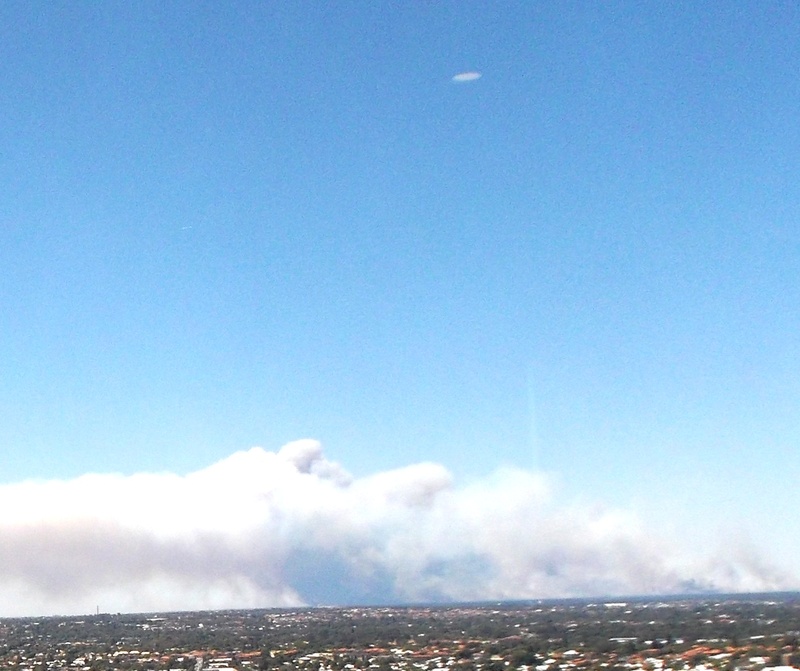 This is the Shem Arua, hovering above a bushfire north of Perth (I took this photo on January 10, 2015, from a city building, after calling them for help; you can see a pillar of white light earthing through the fire/smoke). As I feel it, so are you. Love and blessings for the Solstice, Christmas and the New Year of 2015. Thank you so much for sharing. Nameste Peace and love!!!
. . . . .((( ❤ ((( ❤ ❤ ^_^ ❤ ❤ ))) ❤ ))) . . . . . I have recently awakened. I am very new to this as my past beliefs didnt allow me to be me. How do you connect with these energies? I feel I have recently connected with some, but I am not sure who. I had a vision of my mind unlocking and almost docking with another “ship” days after I could see a glowing blue sphere in my minds eye. Any clue who that was? Hi Erica, thanks for reaching out and sharing your recent experience. The short answer is; I connect through my Heart ❤ This is what I would always advise to anyone opening up to the potential of higher dimensional realms and levels of reality, to go to a deeper inner awareness beyond the play of the mind, so that you can begin to 'tune in' and feel the vibration of any energies you're interacting with or focused upon. I suggest reading through the Inner Heart page, and if that resonates for you, begin with the Four Foundational Heart Practices (linked from that page)…there is all the support in the Universe to assist us in connecting with – and unifying with – our natural Inner Divinity. 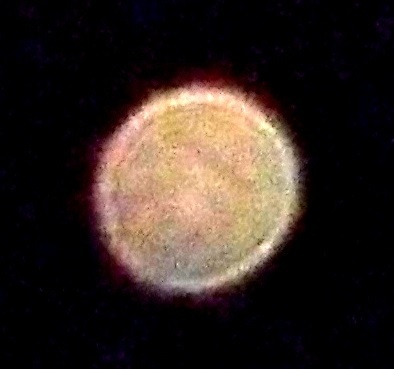 I am in Santa Fe, NM where we are having orb sightings surrounding our beautiful mountains…..known as the Sangre de Cristos. Thank you for your beauty and inspiration! Hi there, about 25 years ago…give or take… I would do very deep meditations.. when I was living in New Zealand. And during these meditations, I would connect with a being (not from this earth) by the name of ‘Sassuma’ – or what i thought was called that particular name. Have you ever heard of a name like that or a name that is very similar?